While there have been more than handful of films based on the notorious Bay Area Zodiac murders, let’s be honest here: there will most likely never be one that will hold a candle to David Fincher’s 2007 Zodiac. What Fincher accomplished with that film is nothing short of creating a masterpiece and it’s kind of like that thought of “well, where do we go from here and why bother?” Thankfully, Jonathan Wright’s Awakening the Zodiac does something very unexpected and refreshing: it gives us viewers a completely unique film, one that serves as a hybrid of true crime and fictional, engrossing storytelling. 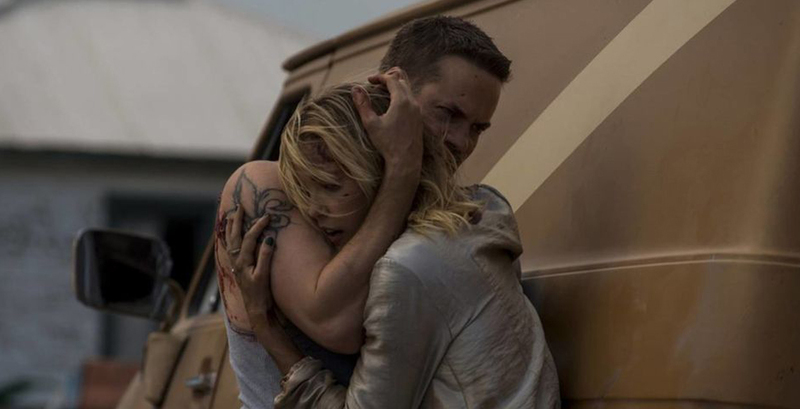 Bypassing your typical murderer biopic in favor of taking the real life events of the past and injecting them into a fictional story, Awakening the Zodiac gives us Mick and Zoe Branson (What We Do is Secret & Salem’s Shane West and Trick 'r Treat/Iron Man’s Leslie Bibb), a down on their luck husband and wife who are having quite the time paying their bills. Always trying to bring new money into their dynamic, Mick spends their rent on purchasing a storage unit owned by a mystery someone with the hopes of sealing the contents and inadvertently setting off a chain of entertainingly bloody events. While Zoe is not too excited about their rent being forfeited in favor of a bunch of junk, it’s when the couple and their pawn shop friend Harvey (Matt Craven, K-2) discover reels of film that their eyes light up. 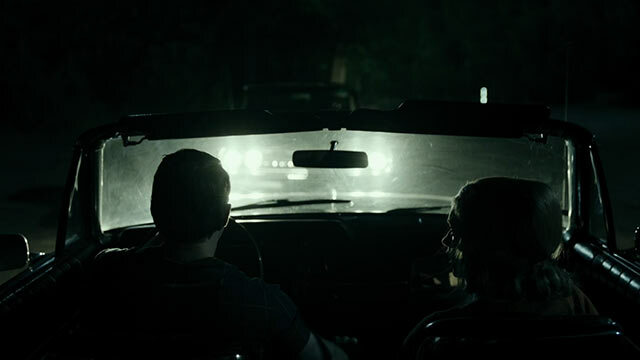 On those reels, they find videos made of the infamously unsolved Zodiac killings, films that were shot BY the murderer and of the crimes that we as viewers know all too well. What leads us into the film’s game of cat and mouse is the trio’s desire to solve what nobody else could in an effort to get the reward money. We know that they’re opening the wrong can of worms and when that slowly begins to happen, it’s next to impossible to take your eyes off of watching such a fun yet completely eerie story unfold in front of us. The desire to solve the crimes and who committed them leads Mick on a mission similar to that of Ethan Hawke’s character in Sinister. The writing that things are not going to end up well if he continues his obsession is on the wall, but that obsession begins to manifest itself in a way that ends up overshadowing the monetary reward, with Mick and Zoe becoming paranoid and suspecting everyone they know or come into contact. Awakening the Zodiac gives us as an audience more than its share of red herrings, from Harvey himself, to a mysterious man played by Twin Peaks/The Void’s Kenneth Welsh and at least two or three others. What makes the film so much fun is how enjoyable it is to go from person to person, trying to solve the film’s mystery on our own; as the real Zodiac killer begins to turn the tables on the trio by stalking them, we’re given such a scary and entertaining game of cat and mouse, with a good amount of sadistic bloodletting being displayed by the serial killer. It’s a wild time watching the film’s trio of West, Bibb and Craven play off of each other. The chemistry is great between the actors and there’s a really unsettling feeling watching their obsession put themselves and others in danger more and more as the film goes on. 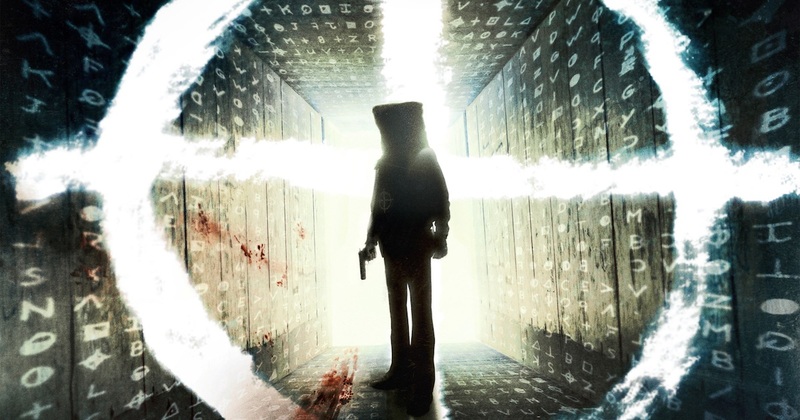 A wonderfully grim mystery that refuses to play by any rules, Awakening the Zodiac is an unforgettable ride. It’s refreshingly original and full of twists and turns at every corner, putting its viewers on a ride that will keep you guessing, right up until the film’s big, grim reveal. As a San Franciscan, I'm very leery of new Zodiac Killer-based entertainment profiting off of very real tragedy and horror. I do love Fincher's movie, though, as it mostly stuck to history and was much more about the crimes' psychological effects on others than the murders themselves. You've made this flick sound interesting, but I would have appreciated some rumination on the ethics of strip-mining real tragedies for what sounds like substance-free entertainment. Granted, the real-life killer is almost certainly too dead by now to enjoy seeing his (even fictional) exploits and fame continue, but I imagine multiple children and close relatives of his victims are still alive.